(Lanka e News -04.Aug.2018, 10.00PM) The Sri Lanka cricket association which is a byword for malpractices and most famous for frauds has recently indulged in a meritorious act ! That is, the Cricket aid project which is well noted as a white elephant has donated Rs. one million worth of drugs to the cancer hospital . It is specially noteworthy the entire SL cricket team was present on that occasion. Faizer Mustafa who has conveniently forgotten the holding of provincial council elections which is a main activity of his ministry , and is now basking in the glory of his additional new appointment as minister of sports taking the lead in this charitable activity, in any case deserves a bouquet . Now that the cricket administration is also being run by the ministry , minister Mustafa who had now come to know of the cricket aid which is a project at private level ,is deploying its funds towards charity , and in keeping with his notorious overriding traits obviously has the need to exploit this charitable service to win votes and score personal plus points. The cricket aid project launched during the Tsunami period was always plagued by issues from the very outset in much the same way as was the ‘Helping Hambantota account’ of the corrupt Rajapakses. This cricket aid project commenced during the time when Thilanga Sumathipala was the cricket board chairman received colossal funds locally and internationally under the Tsunami Aid,and Thilanga appointed former test cricketer Hashan Thilakaratne as its director initially. Hashan received a monthly salary of about Rs. 200,000.00 for over a year from this project. During that period fishing crafts , tents, furniture, dry rations etc. were distributed to displaced families of Tsunami in the North and South. At the same time a thousand children of families that were displaced in the north and south too were chosen , and savings accounts were opened for them in banks. The savings books with an initial deposit of Rs. 1000.00 were handed over to them . How much of funds were channeled towards this was not audited however. Finally when the cricket aid office was closed , hundreds of savings books that were there were destroyed. Even until today there are no records of those accounts , and when Thilanga became the cricket association president again in 2016, he established the cricket aid as a separate entity – a company independent of the cricket association . Upali Seneviratne who was in the Cricket association earlier and then packed home was appointed to take charge of the accounts and office affairs of the new cricket Aid Co. Meanwhile Raveen Wickremeratne and Shammi Silva , officers of the executive committee of the cricket Association with the knowledge and consent of Sumathipala left for England and Australia to organize dinners and functions supposedly to boost the fund of the cricket aid Co. Raveen collected a sum of over Rs. 10 million from the cricket association towards this. In the end all those efforts went up in smoke and not a cent was collected on behalf of the cricket aid Co. Might we state , Lanka e News had already reported comprehensively on these rackets and robberies with data and details. Last year during the floods , through the Cricket aid Co. water bottles were collected and distributed . The funds were so recklessly wasted that the water bottles which remained unutilized in the corridors of the cricket association were taken and distributed in the electorates of former sports minister Dayasiri Jayasekera by Thilanga . The wastage of funds was so monumental that the cricket bats and souvenirs which were made spending millions to be sold at the dinners and functions abroad were sent back to SL . What happened to those items is not known , and neither has an audit investigation been done into them to this day. All these were manipulated by Shammi Silva who functioned as treasurer . 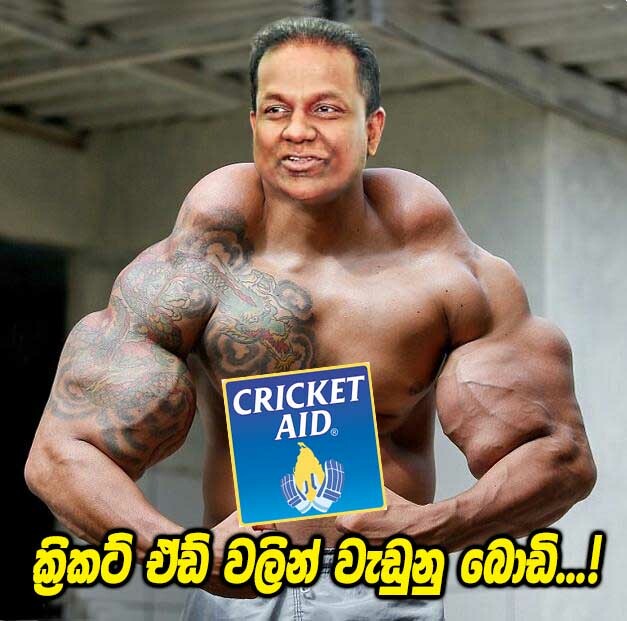 If the COPE committee chairman Sunil Handunetti does not take any action in fear that the newspaper of Thilanga will slam him , the cricket aid corruption will also go underground like the Helping Hambantota fraud with the passage of time.